I’ve been quite harsh on a number of shows this year, so it makes a nice change to sit down to review a show and realise that it’s managed to entertain me without fail for 24 episodes and leave me desperately waiting for its return. 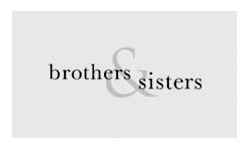 On paper, Brothers & Sisters doesn’t look like the most ambitious of shows – the trials and tribulations of the Walker family – five siblings, their mother and her brother, their partners and their assorted hangers on. It’s the televisual equivalent of comfort food, not quite as overdone as Gossip Girl or Desperate Housewives (although I haven’t seen that for a few years), but more cheesy than Grey’s Anatomy. The magic thing about Brothers & Sisters is the people. There can be up to fourteen people sitting round a dinner table shouting at each other, and every single one is an interesting character with complex relationships with almost everyone else at the table. Each of the siblings has their own life, career and family, but they all mesh together like cogs in a giant machine. A gossiping, drinking, sniping, shouting, crying, sarcastic machine, but somehow a pretty functional one. The joy of the show isn’t in the day-to-day plots that get pushed into the machine, or about the generally predictable resolutions that eventually emerge. It’s about watching the machine in action – the drunken dinners, the shouting in the kitchen, the gossiping conference calls. I could go into great details of the plots and the characters, what worked well this season and what didn’t, but you know what, I don’t actually want to. I love this show, shamelessly and hopelessly. It makes me laugh, it makes me cry and it makes me feel part of the family.